Exotic travel doesn't get much better than a trip to the luxurious Four Seasons Resort Seychelles; book your travel across WhataHotel! and also enjoy Exclusive Complimentary Perks combinable with a 4th Night Free for one of the best deals around. 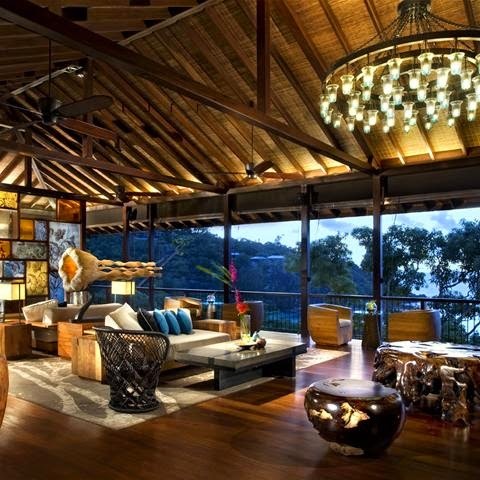 Find yourself in a posh tree-house style resort on a hilltop that overlooks the ocean. 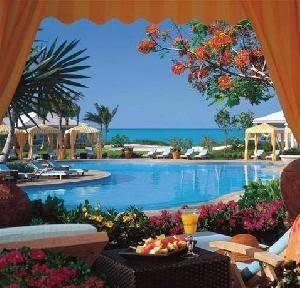 A stay here will prove to guests why Four Seasons Resorts Worldwide has received countless awards over the years Sophisticated service, impressive amenities and outstanding accommodations welcome you to this intriguing African island paradise. 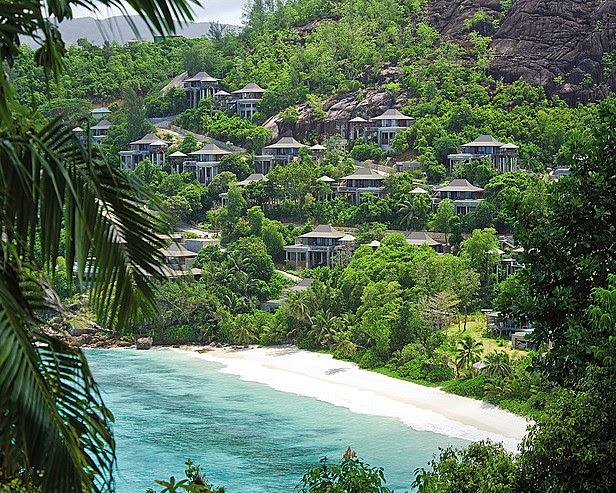 Four Seasons Seychelles is located in the Indian Ocean, just off the coast of Eastern Africa. The island country consists of 115 islands that boast breathtaking views, rare tropical plants and trees and remarkable resorts that provide guests with a stunning stay. The Four Seasons Seychelles is situated in Mahe, and allows guests to relive their childhood in these ultra-chic tree-house inspired villas. Each villa is either perched atop stilts on the jungle hillside or nestled near the beach and crystal blue waters surrounded by lush greenery. Indoor and outdoor space is abundant and each villas has been built in the traditional Creole style. Other fantastic resort amenities include the private plunge pools, the large infinity pool, the state-of-the-art fitness facility, and options for loads of other exciting adventures and activities. The resort spa is the perfect place to rejuvenate your senses, here guests can enjoy pampering treatments in a relaxing setting. Dining will be delicious as well, Four Seasons Seychelles presents guests with tempting restaurants and lounges. The restaurants have internationally recognized chefs onsite to serve up delightful meals with a Mediterranean, Southeast Asian and Creole-inspired twist while the lounges ensure visitors can sip on signature cocktails or savor a light snack. Four Seasons Seychelles has created an alluring island retreat that welcomes guests with open arms and charms them with limitless luxury. When booking your travel to Four Seasons Seychelles across WhataHotel!, guests receive not only Exclusive Complimentary Perks but also a unique Special Offer for an unforgettable deal. These perks include available upgrades at check-in, a full American breakfast for two each day, a $100 food and beverage credit and access to high-speed Internet in all suites. Receive a 4th Night Free when booking a 3 night stay or pay for 5 Nights and enjoy 2 additional nights free for a combinable offer that is simply extraordinary. 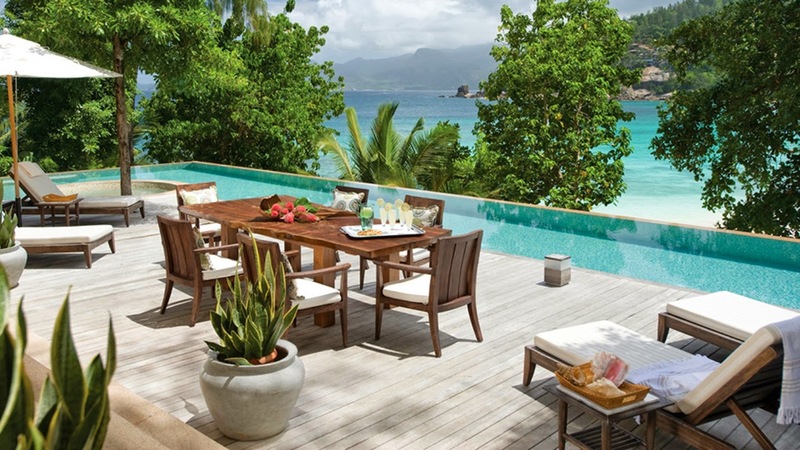 Four Seasons Seychelles is vacation destination that will prove anything but ordinary. Allow Four Seasons and the Four Seasons Preferred Partner, WhataHotel!, to provide top-notch service and incredible accommodations for the trip of a lifetime.